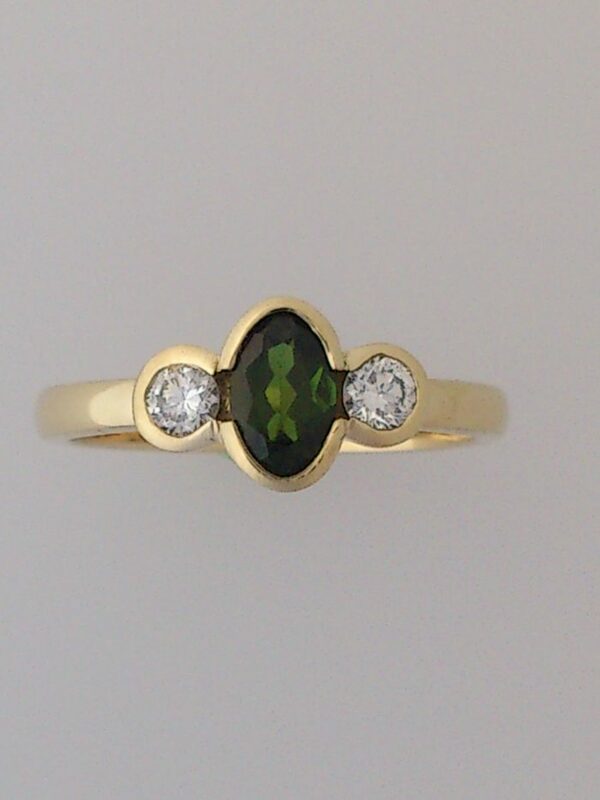 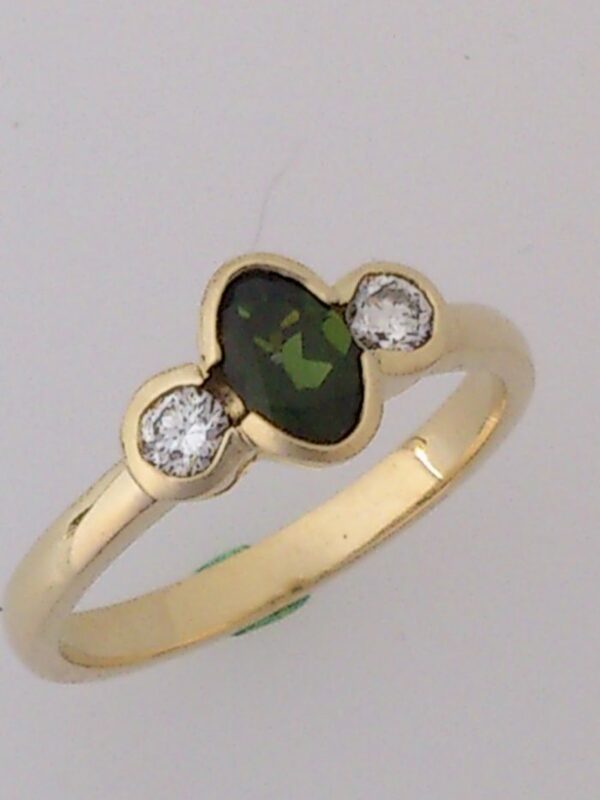 A beautiful bright dark green oval 6x4mm Tsavorite garnet flanked by 2 x 10pt brilliant cut diamonds set in 9ct yellow gold rub-0ver settings with a slightly rounded 2.25mm 9ct yellow gold band. 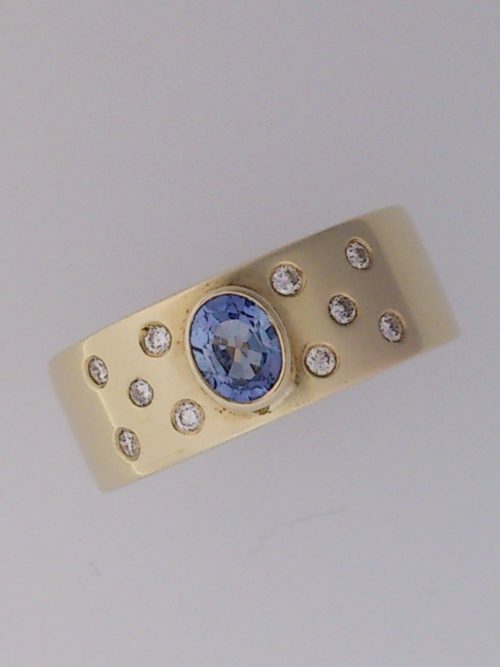 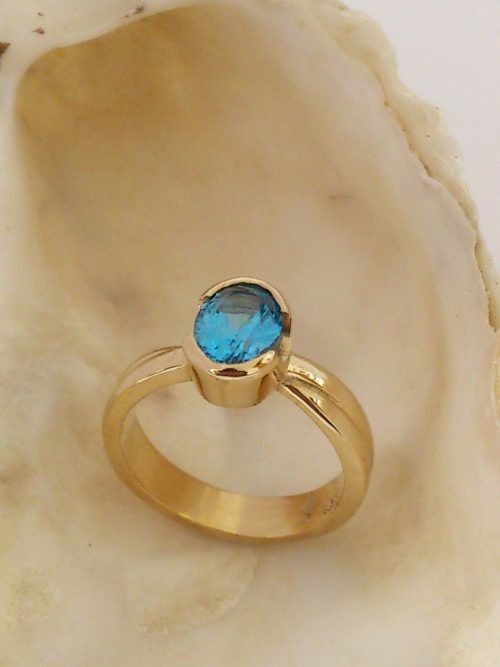 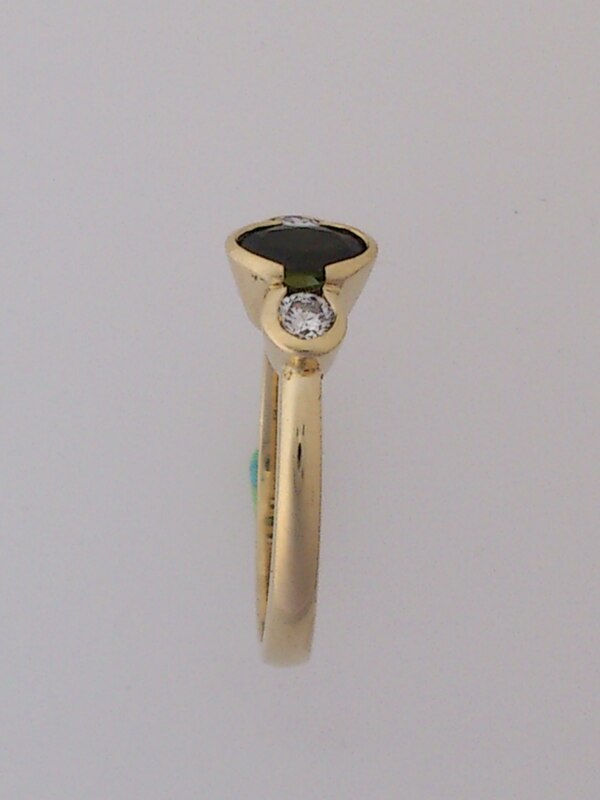 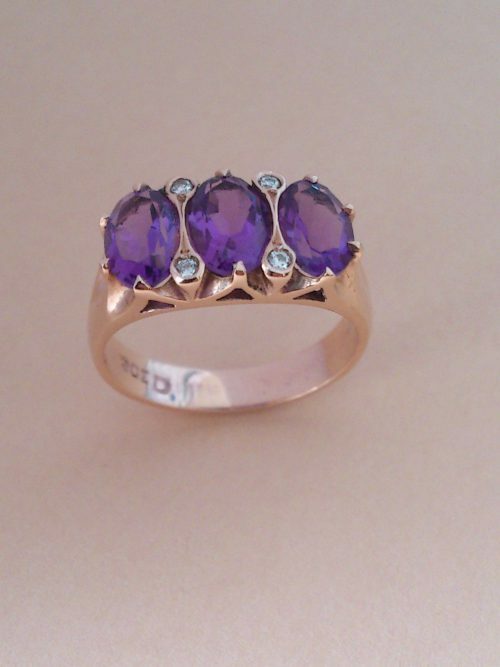 The oval centre stone is raised slightly higher than the two diamonds. 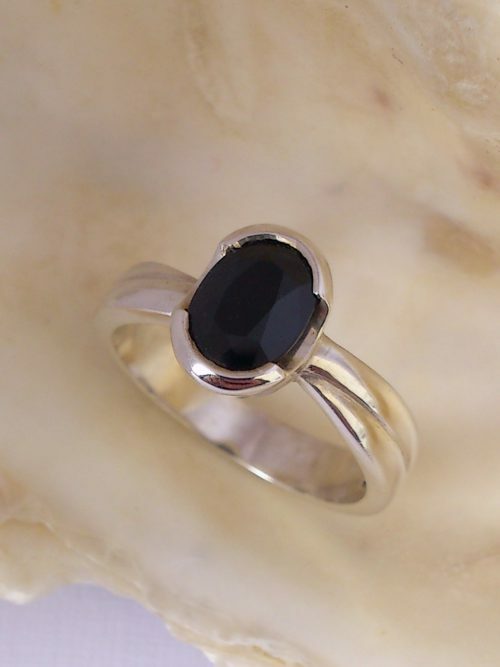 A simple classic design.